Launched out of Hotwire in early 2007, Skywrite has gone from strength to strength, finishing 19th in the Technology Top 40. Key wins included O2 and Shazam and MD Emma Cohen is confident that the second half of the year will bring a rebound on the consumer tech side. 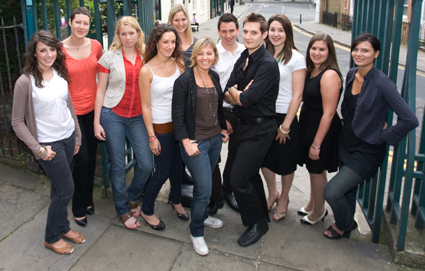 Sum up your agency's 2008 in three words: Bucking the trend! Significant hires in the tech team in 2008: We hired senior manager Laura Macdonald who brought with her a wealth of consumer experience in helping brands achieve real cut through in the press. Her creativity and passion for PR has been infectious across both the team and her clients. Staffing overall 2008: Over the last 12 months we have focused on becoming real consumer specialists, for tech as well as lifestyle brands and creating campaigns that pack real punch. To this end we implemented an intensive training programme where each member of the team has been able to take part in specific training modules tailored to their individual needs – from team-coaching and strategic decision-making to video editing and broadcast training, each team member has developed and enhanced their skill set to provide a better service to our clients. We’ve also created specialisms within the team so we have specific experts across the travel, music, fashion, gaming and mobile sectors, as well as our own digital PR wizards. Plans and predictions for tech PR in 2009: Brands that have held back in Q1 and Q2 will put everything into the last half of the year in the lead up to Christmas to drive as many sales as possible. Agencies that can demonstrate they know how to really make a budget work and produce results will be the ones that come out on top at the end of the year. Cost-effective PR doesn’t have to be boring – it just demands even more creativity, whether that’s turning the fountains of Trafalgar Square into a bubble bath or simply tapping into the news agenda to issues jump someone else’s story. Tech business or brand to watch in 2009 and why: Spotify – a company that will totally revolutionise the music industry with their mobile product later on this year. Describe your agency’s digital offering: we have in-house digital PR experts who tap into the latest online trends and social buzz to provide clients with compelling experimental online techniques to reach digital communities. We offer clients a range of services from creating and managing a social media press office to monitor and engage with online influencers to building and maintaining a brand’s online reputation. How are you keeping up to date with social media: the whole team actively engages with a range of social media outlets. Everyone has a Twitter account and inputs into the company blog. As some of our clients are social networks in their own right, we need to make sure we are up-to-date with the latest trends in the market and who our clients are competing with for online mindshare. One thing you won’t know about the agency: A week hasn’t gone by this year without us securing a national piece of coverage for one of our clients.